Il Baylor Project sono Jean e Marcus Baylor, una collaborazione all’insegna del cuore e dell’anima del jazz. Marcus e Jean affondano le loro radici musicali nella chiesa, è lì che è iniziato un percorso ricco di influenze – gospel, blues, soul e jazz – che i due hanno reso un marchio. L’album di debutto “The Journey”, pubblicato con la loro etichetta Be A Light, ha scalato la Billboard Jazz Chart posizionandosi al numero 8 e un anno dopo ha ottenuto due nomination al GRAMMY® come BESTJAZZ VOCAL ALBUM e BEST TRADITIONAL R&B PERFORMANCE, affermando l’innegabile potenza del Progetto Baylor. Ascoltando “The Baylor Project” ci si immerge in un eclettico viaggio musicale all’insegna della versatilità e del virtuosismo. The Baylor Project featuring Jean Baylor and Marcus Baylor highly anticipated collaboration is steeped in the heart and soul of Jazz. As the children of Pastors, Marcus and Jean’s musical roots were planted deep within the church, and it was there that the road was paved for the influence of gospel, blues, soul, and jazz to make it’s mark. 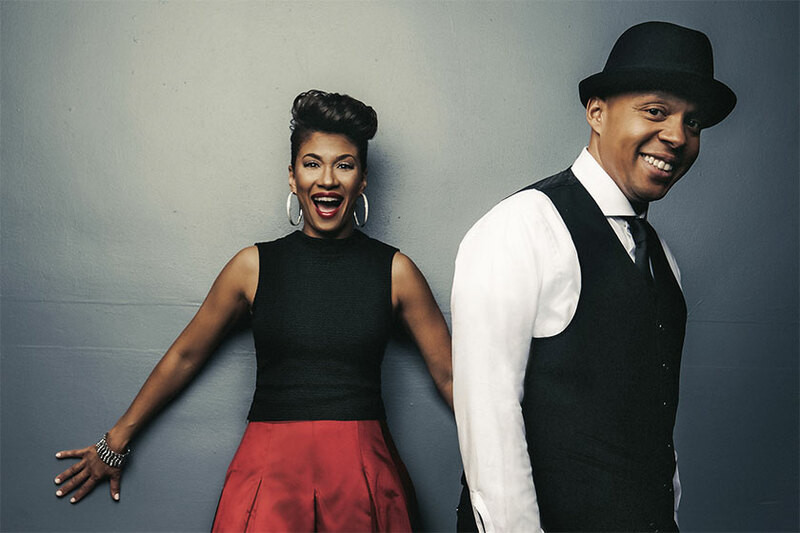 Their debut CD “The Journey”, released on their own label, Be A Light, topped the Billboard Jazz Chart at Number 8 and a year later garnered 2 GRAMMY® Nominations for BEST JAZZ VOCAL ALBUM and BEST TRADITIONAL R&B PERFORMANCE, solidifying The Baylor Project as an undeniable force. As you listen to “The Baylor Project,” you will be taken on an eclectic musical journey that showcases as much versatility as it does virtuosity.